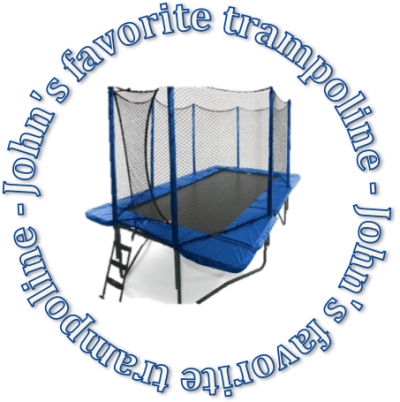 Best Trampoline Reviews by John | Trampoline for Me! Thanks for stopping by this website. A lot of people are not familiar with all the benefits of having a home trampoline – be it fun, making a party or weight loss. Then again, there are a lot of people who just don’t like anything old fashioned. New stuff is always more exciting, right? But there is a saying – old is gold. There are some proven things that work! Now, gymnasts don’t start doing their double flips straight on the floor. They practice on the trampoline first. Kids won’t just jump around on their own (and they will definitely not jog as we boring adults do) but put them on the trampoline… Well, the fun is endless. Oh, and have you ever seen an adult jumping on the trampoline? His/her face always lights up like a Christmas tree! 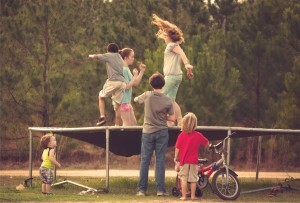 As a father of two and a social creature with a lot of friends and a backyard party lover, I simply adore trampolines – they proved to be the best source of fun for everybody. I recently started using it for a workout routine and I’ve had some amazing results without feeling the boredom of working out. On this website, I’ll try to provide you with the comments and personal opinions about different types of trampolines and probably help you with the choosing the right trampoline for your needs (or figuring out whether you really need one, although I think that everybody does!). I advise you not to skip the part about safety as it is really important! If you have any questions or comments, feel free to drop them in the contact box!